Come along for our first meeting of 2018. 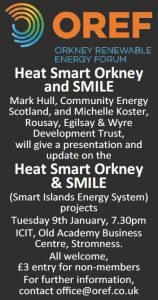 Explanation of the Heat Smart Orkney and SMILE projects by Community Energy Scotland’s Mark Hull. They are seeking to work around the curtailment problems by turning wasted renewables into affordable heat and more with some clever switching. 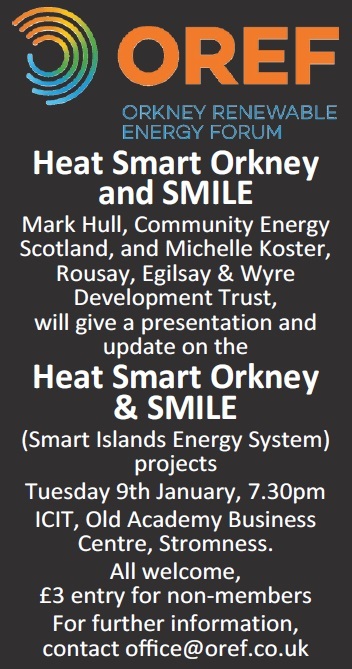 7:30 pm January 9th ICIT, Old Academy Business Centre, Stromness.